Maine has 32 designated opportunity zones, including 30 low-income communities, plus 2 non-low-income contiguous tracts. Statewide, there are slightly more urban census tracts than there are rural ones. 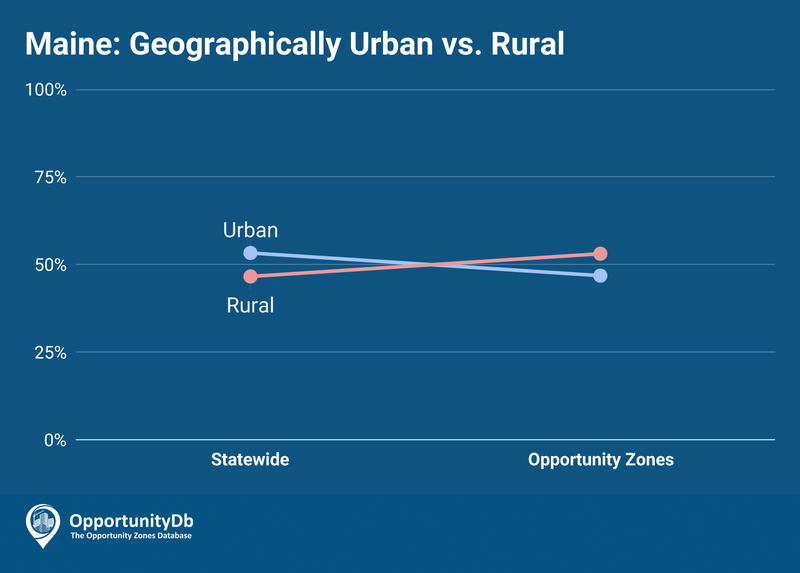 This is reversed for the state’s opportunity zones, as rural opportunity zones hold a slight majority over urban ones.